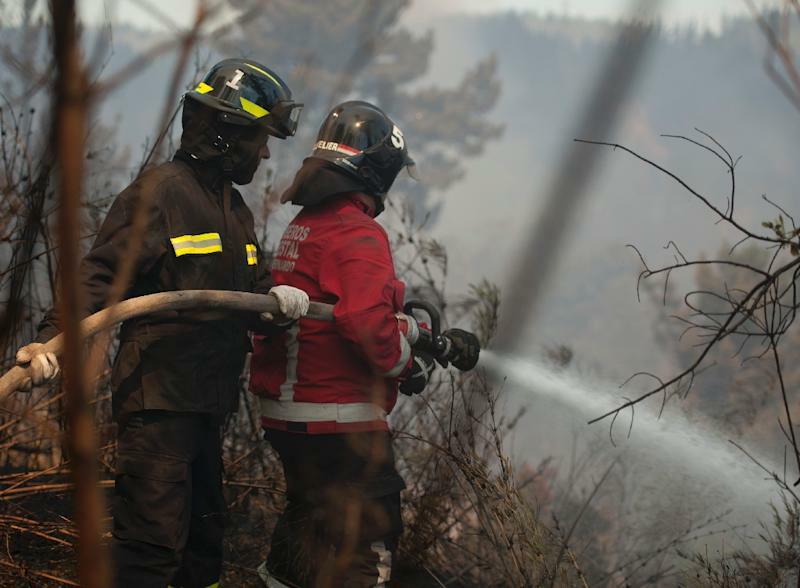 Santiago (AFP) - Firefighters have contained a huge forest blaze that had threatened the picturesque Chilean port city of Valparaiso, officials said Sunday, adding the government plans to charge those responsible for the fire. One person died and thousands were evacuated on Friday from around the UNESCO World Heritage site, known for its narrow and steep roads, as the blaze raised fears of a repeat of a destructive 2014 fire that killed 15 in the same area. "We are keeping the Valparaiso fire contained and so its spread is under control," said Deputy Interior Secretary Mahmud Aleuy. Aleuy said police will charge the owners of an illegal landfill where the fire was believed to have begun Friday afternoon due to molten metal in the dump. The charges are expected to be filed Monday. The risk of the fire affecting the city's population or infrastructure has been "significantly reduced," said Aaron Cavieres, head of the National Forestry Corporation. 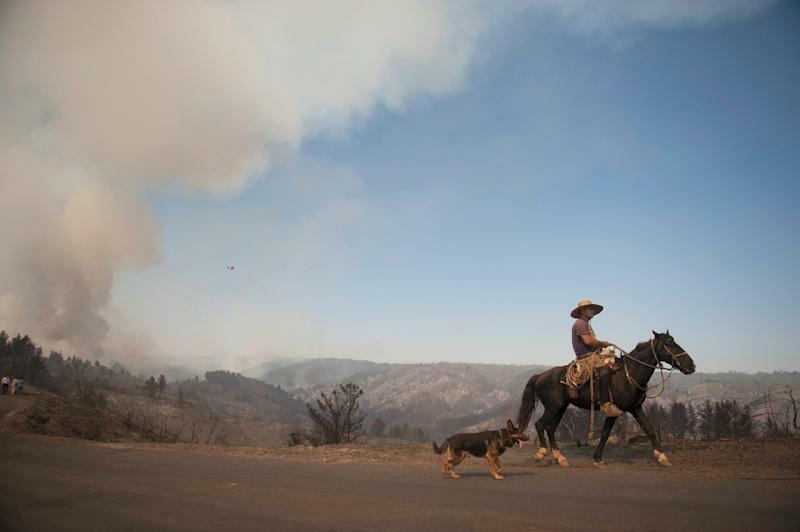 Warm temperatures and strong winds had fanned the flames to burn 560 hectares (1380 acres) of woodland, fields and scrub near Valparaiso, once dubbed the "jewel of the Pacific." The blaze is blamed for the death from a heart attack of a 67-year-old woman. Thirty-two people were injured, 19 of whom were firefighters, according to official reports. So far only one house has been impacted by the blaze and firefighters reported they were able to control the fire in four of its six most active areas. It recalled a blaze that swept the popular seaside city nearly a year ago, killing 15 people and destroying 3,000 homes. Valparaiso, which lies just west of the capital Santiago, has a population of 260,000 people and is famed for its colorful houses standing on high hills near the port. 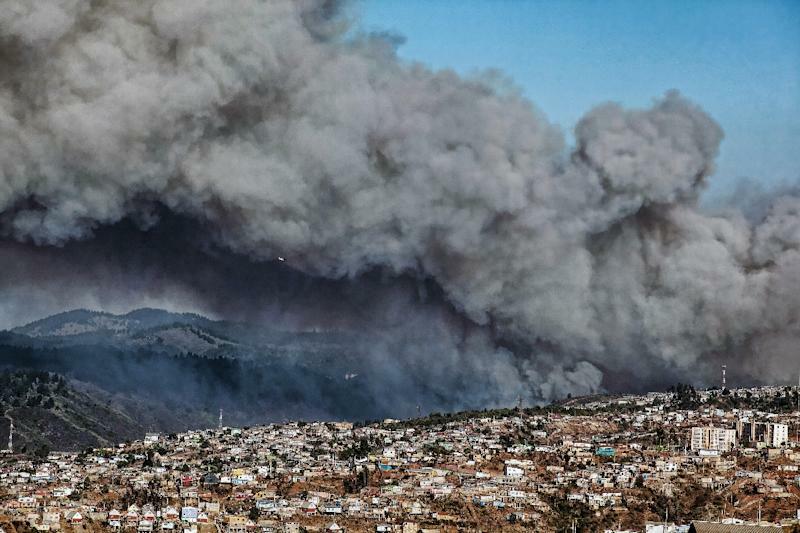 Its poorer neighborhoods, perched on the city's dry hillsides with wood and tin roofs, are particularly vulnerable to fire. The improper disposal of garbage puts those areas at even more risk, mayor of the city Ricardo Bravo told AFP. "That puts us in a position where, in any situation, a forest fire in the geographic area we have can become a fire of the proportions we had last time," Bravo said. Despite its UNESCO designation Valparaiso -- which relies heavily on tourism -- has a high rate of poverty and difficulty providing community services such as water and trash collection to poorer areas.